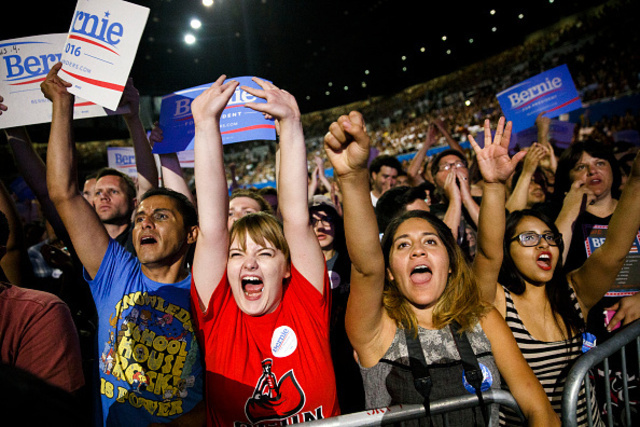 Five ways to build on the momentum of the Bernie Sanders campaign and transform American politics in ways his supporters envisioned. The Tuesday primaries clinch it. Sanders says he will fight on to the convention, and he and his appointees likely will have an important role in forming the Democratic Party platform. Still, unless there’s an upset at the convention, the presidential race is now Clinton versus Trump. So what will become of the political revolution launched by the campaign to elect Bernie Sanders? We may find out soon. In Chicago from June 17 to 19, progressive groups that align with the Sanders agenda will meet in a People’s Summit to plan next steps. Among them are National Nurses United, National People’s Action, the Working Families Party, 350.org, Million Hoodies, and others, along with speakers such as activists Dr. Cornel West and Naomi Klein. 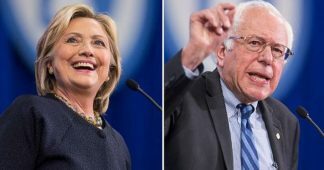 Sanders is invited, but has not said whether he will attend. 1) Lift up the leadership of women, people of color, and young people: There is more diversity in the Bernie movement, and the progressive movement more generally, than in the roster of progressive leaders and elected officials. The energy, the creativity, and the future lie in diverse, young, and female leadership. The speaker lineup at the People’s Summit is a good start in that direction. 2) Find places of unity, even when there is division. Progressives will disagree on many things—whether to actively support Clinton among them. But that shouldn’t keep the movement from setting ambitious, disruptive, transformational goals that people can work on together. 3) Vote anyway. There’s a danger that voters turned off by the Trump-versus-Clinton race will stay away from the polls. But down-ticket races and ballot initiatives deserve attention, as does electing a progressive Congress, no matter who is president. A new group of progressive candidates, many of them people of color and women, could ride the coattails of the Bernie Revolution, even if he isn’t at the head of the ticket. It’s important to keep voters fired up. 4) Reach out to everyone, including Trump supporters. Many progressives ridicule and exclude working-class white people. It is both dangerous and ignorant to stereotype them—or any demographic group. 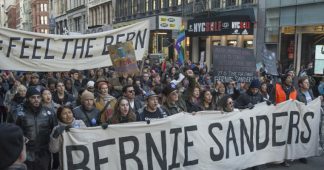 Some Trump supporters have said they could also support Bernie (and vice versa), and the movement should work to draw them into the political revolution. 5) Break out of issue silos. Too often, big single-issue groups talk past each other at events like the summit, and leave with the same single-issue agenda they came with. For a political revolution to succeed, there will need to be a willingness to work for across-the-board change. Instead of one inspirational speech after another, can the summit be used to come together on a strategic focus, to plan collaborations, and to build power? And one other thing: If this is to be a real political revolution, it will need to engage ordinary Americans who don’t go to national conferences, and it will have to be grounded in local communities. Local is where we are unstoppable, where corporate money has less influence and we can do more with volunteers and our own $27 contributions. That is where we can build the foundations of a movement that extends from our communities to Washington, D.C., and brings about real change, while holding those we send to D.C. accountable to we the people. 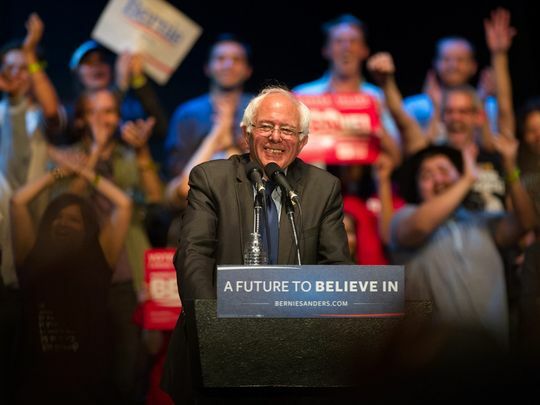 Sanders’ call for a political revolution ignited Americans. “We have a community coming together like I’ve never seen before,” DeMoro said. 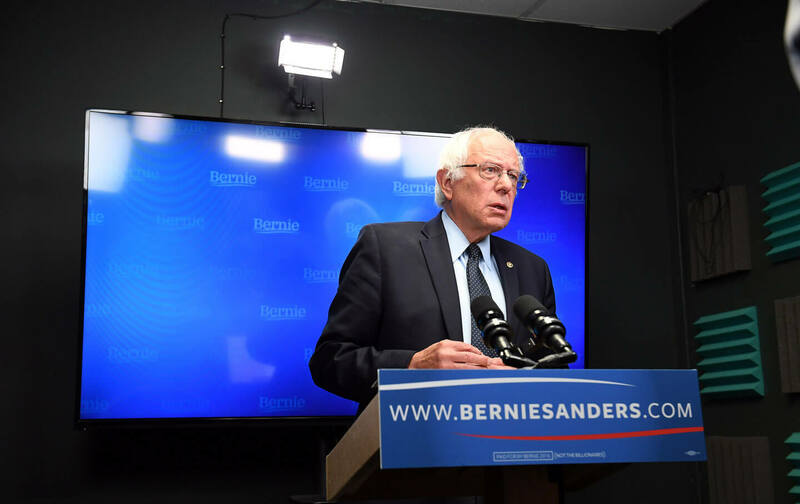 If the summit can build on the momentum of the Sanders campaign and make the leap to a broad, sustained people’s movement, it has the potential to transform the American political scene.